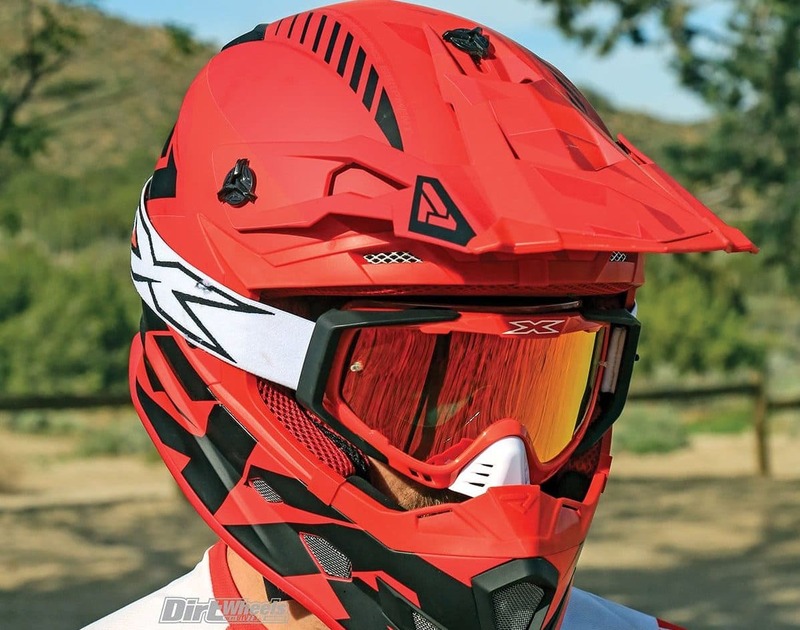 FXR’s Boost Moto CX Prime helmet is a good-looking lid available in 10 bold color combos. It is light, comfortable, vented and easy to put on. FXR is a Canadian company that is little different as far as gear companies go. The founder was a motocross racer and later a motorcycle/snowmobile shop owner. He took up racing snow machines and started having his own gear made when he didn’t like what was available. After taking a strong position in the snow arena, FXR developed gear for dirt bikes and quads. 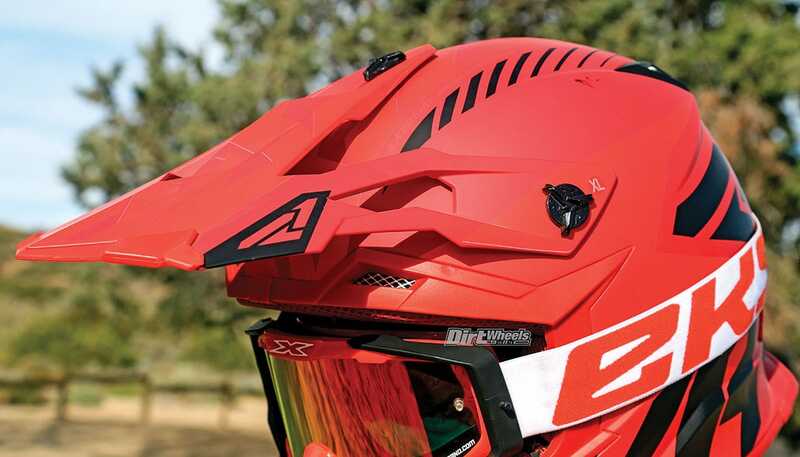 Naturally, helmets for moto or snow racing are suitable for quads or UTVs. FXR has quite a line of helmets. We tested the Boost Moto CX Prime helmet. 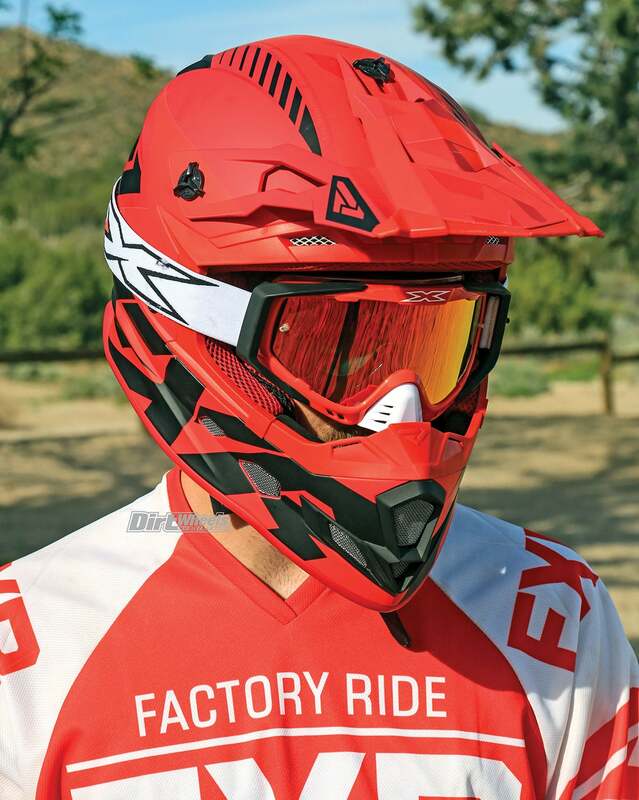 It is a fairly light helmet (starting at under 3 pounds depending on the size) that is available in 10 color styles for $180. This is a good-looking helmet with a lightweight polymer shell. We counted 18 vent intake or exhaust openings in the shell. We were intrigued by the peak. It has a color-matched front section molded from a tough rubber. That helps prevent the peak from cracking and protects the peak’s finish from peeling. From the rear, you can see the vented wicking material used in the comfort liner. At the rear are exhaust ports for the helmet venting. From the top, the adjustable peak offers complete sun and roost protection, but if you look up under it from the front or at the rear of it, it is almost completely open with nothing but thin fingers attaching the peak to the shell. When you are riding or driving at speed, a peak designed like this doesn’t let the wind pull back on your head. This is a clever design that works. Inside the helmet is a ventilated material. The earpieces snap in and out, and so does the rest of the comfort liner. You can wash it and snap it back in. Instead of D-rings, the helmet strap has an adjustable quick-release buckle that is quick and handy to operate with gloves on. As far as safety goes, it has DOT and ECE approvals. We are big fans of the super-vented peak design. It doesn’t catch wind, yet is easy to adjust. The front edge is rubber. Note the screened vent. We used the Boost Moto CX Prime on quads and while driving UTVs. Our goggles fit in the helmet opening just fine without feeling like they were blocking all of the airflow to our face. The sizing is generous. The peak is mounted with three large plastic screws that require no tools, so the peak is easy to adjust. It was quite hot for some of the rides, and we appreciated the venting and sweat-wicking properties of this helmet. We made frequent stops for photo shoots, and the helmet comes off and goes on easily. Comfort is quite good, and the helmet doesn’t buffet around on your head at speed. The finish is holding up very well and we rate this as a good helmet for the price of $180. 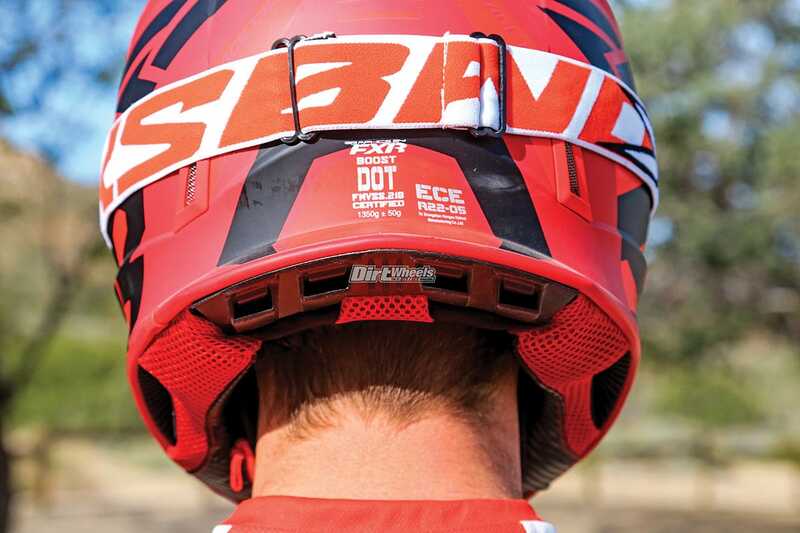 The field of view, fit, style and comfort of this helmet are right on the money. As we said, the sizing is generous, so go to a dealer and try them on. You may be able to go to a smaller size if you are on the edge of one size. Most of the color styles are bright and colorful, and we like that for for visibility and safety. The Boost Moto CX Prime comes in XS through XXL. Check out www.fxrracing.com.